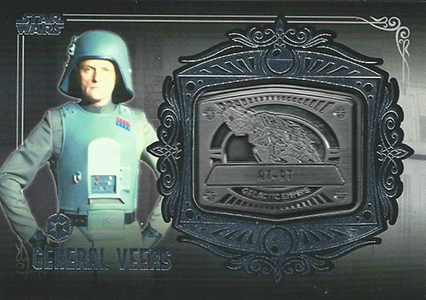 For anyone who has seen the original Star Wars, medals play a memorable part of the film. 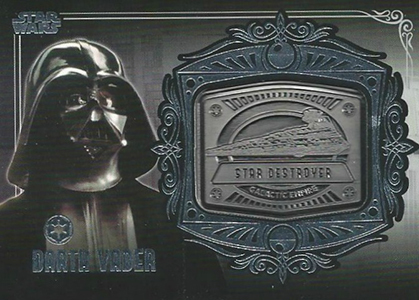 Vague spoiler alert for my neighbor's neighbor and others who have avoided the film for more than 35 years. 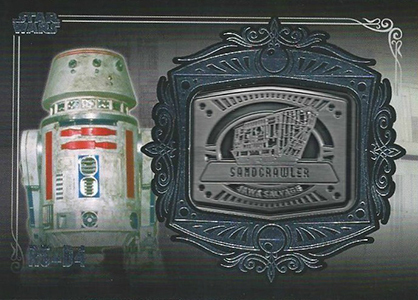 In a room filled with happy people, some key characters are honored. 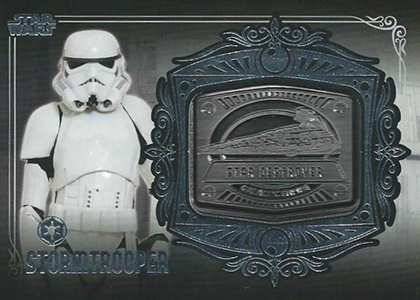 They stand together smiling for a moment before the film cuts to the final credits and John Williams' memorable score blares triumphantly one final time. 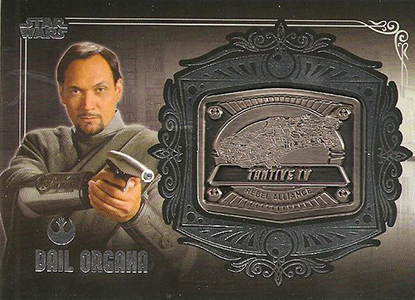 In the grand scheme of things, it's not that important. 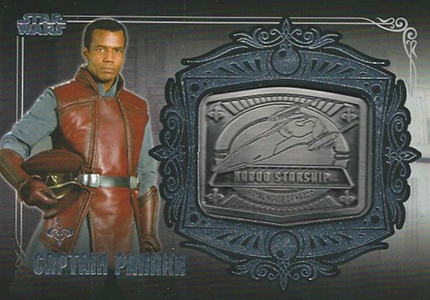 But it's an upbeat end note until things get ugly again in the inevitable sequel. 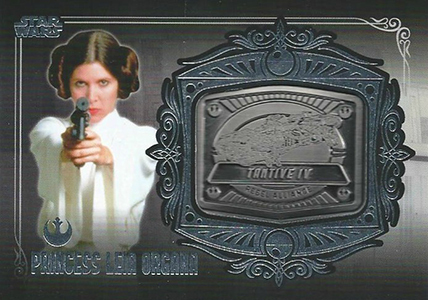 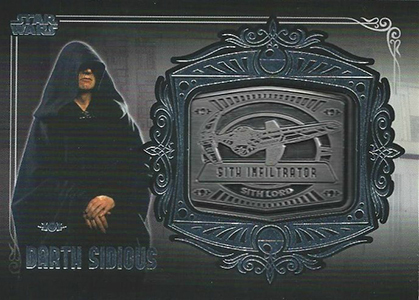 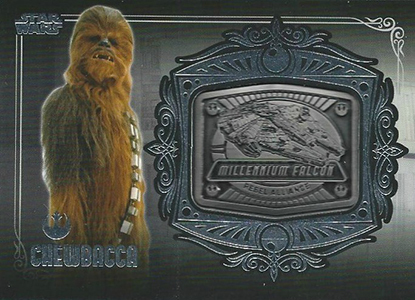 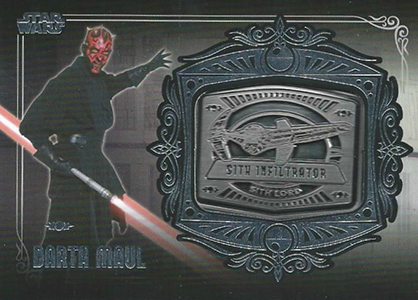 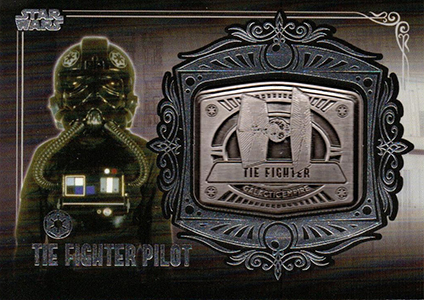 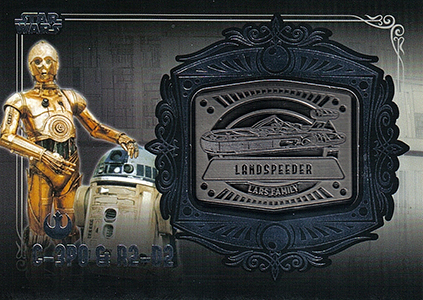 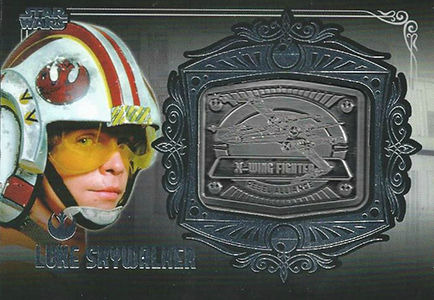 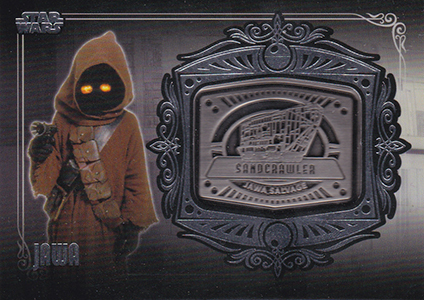 While not the same sorts of medals, 2013 Topps Star Wars Galactic Files 2 Medallion Cards bring a new kind of heavy metal to the long-running trading card franchise. 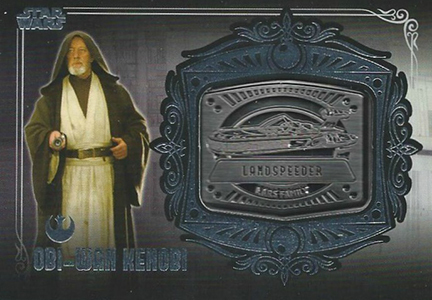 Inserted 1:55 packs of 2013 Topps Star Wars Galactic Files 2, there are 30 Medallion Cards in the set. 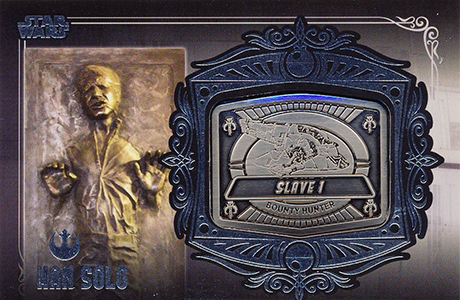 Each of the horizontal cards features a character on one side and a detailed medal on the other. 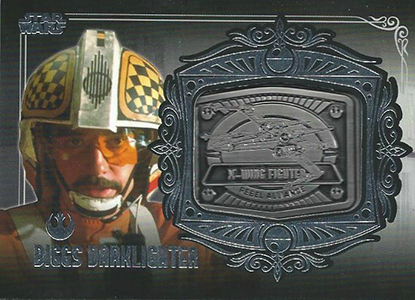 Each of the medallion highlights a vehicle related to the character. 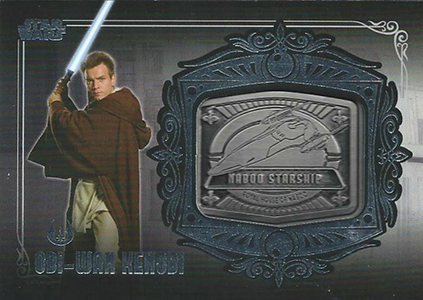 For those working on the set of Medallion Cards, some cards are tougher to find than others. 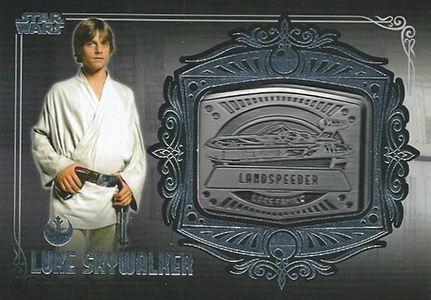 Topps confirmed that each medallion was printed in equal numbers. 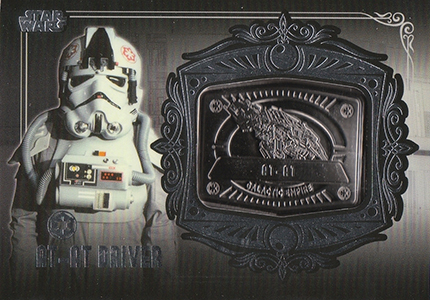 That said, some individual cards are short prints. 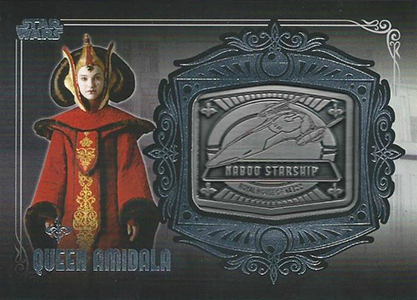 A list of these has not yet been released. 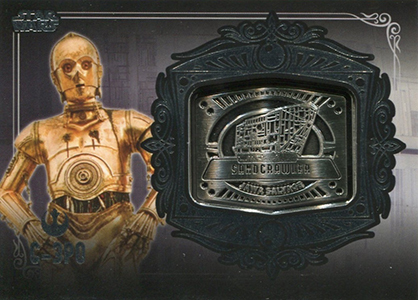 Topps has been producing manufactured relics for some time in their sports products. 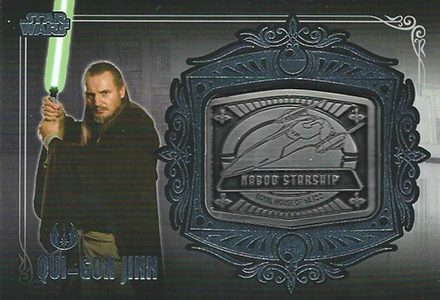 However, they're fairly new to their Star Wars line. 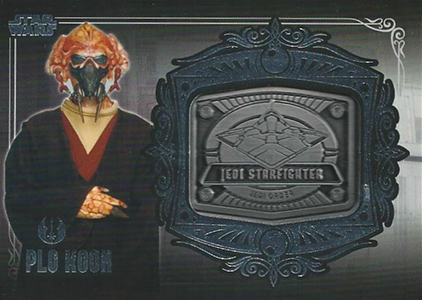 The first Galactic Files set has similarly themed Manufactured Patch cards while 2013 Topps Star Wars Jedi Legacy has film cel cards. 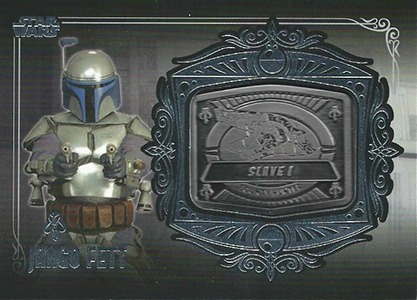 For many collectors, this brings a fresh feel to a long list of sets that have relied on sketch cards and autographs for several years. 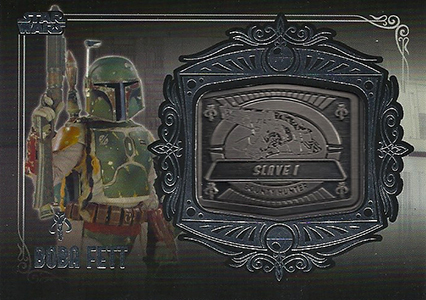 Collectors appear to be responding well to them on the secondary market. 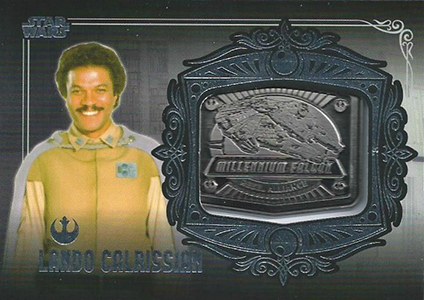 Very early sales of the 2013 Topps Star Wars Galactic Files 2 Medallion cards show a broad range, however most are going for $20 and up. 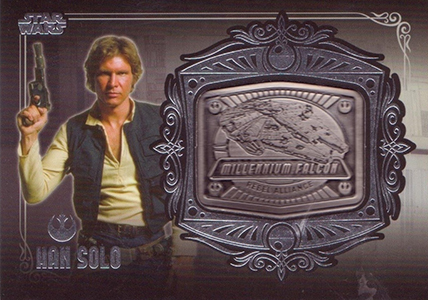 The highest eBay sale in the first several days was a Han Solo in Carbonite (#MD-6) that sold for just under $150. 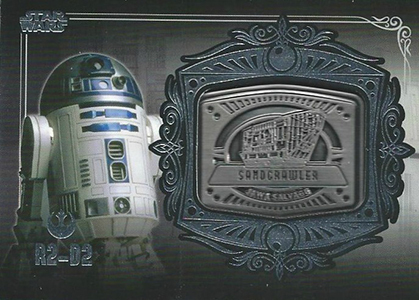 As short prints are confirmed and people build their sets, prices will likely fluctuate for a couple of months. 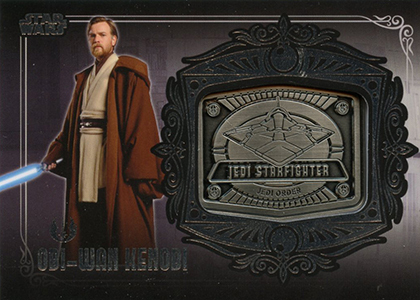 Cards are sorted according to the medallion featured on the card.